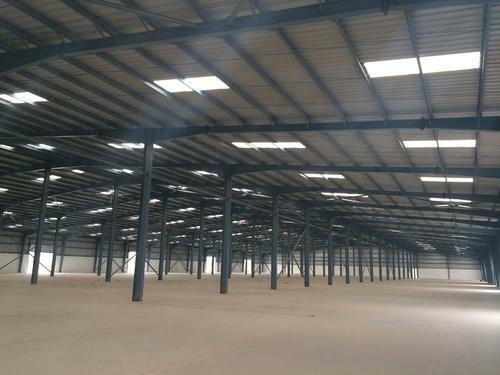 Our enterprise is actively engaged in offering Prefabricated Storage Shed to our esteemed clients. Its antique look, elegant designs and attractive patterns make this storage shed highly demanded among clients spread across the globe. Quality and client satisfaction being our foremost goals, we adopt a consultative approach and build retained partnerships with our valued clients. Our structured work methodologies help us in customizing the solutions as per the client's needs. Clients may contact us for availing Services including Structural Design Consultant Services, Structural Retrofitting Consultants, Roof Design Services, Computerized Building Design, etc. In addition, we also render Services for Warehouses Structural Design, Airport Structural Design, Shopping Malls Structure Design, Car Parking Structure in Steel and R.C.C. etc. We take detailing works for fabrication of buildings and bridges. We take up Industrial Architectural and Design works. Our comprehensive Services also include Installation and Maintenance of existing building structures. The rich domain expertise and vast industry experience is our forte, which helps us in excelling in the industry. The continuous support of our team of experienced designers and architects aids us in designing unique and requisite proposition for the clients. Owing to our quality bound solutions, we have managed to carve a niche for ourselves in the industry. Our services are availed by the clients across the globe.